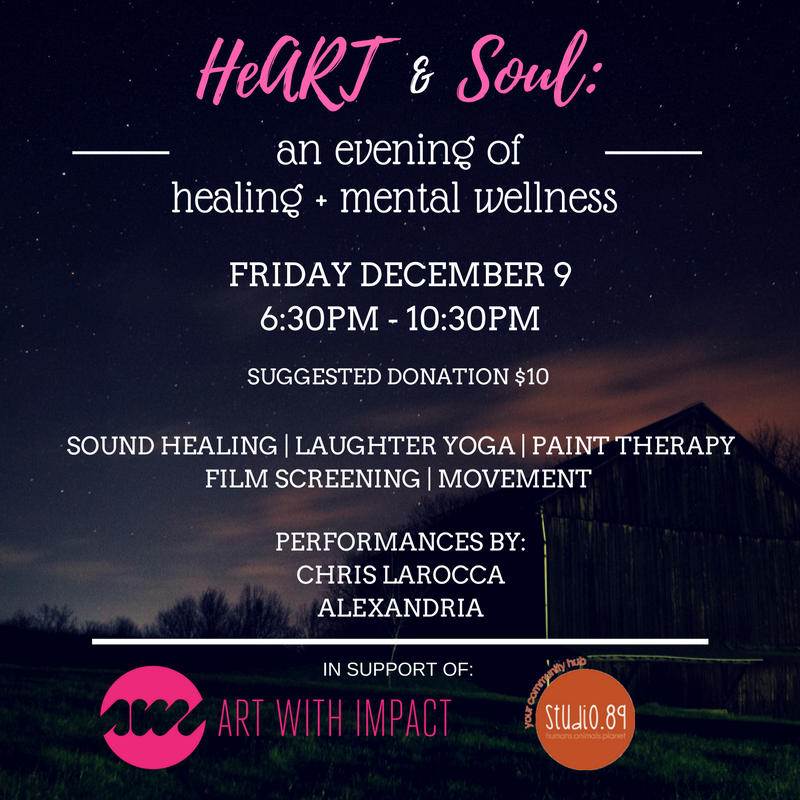 Studio.89 presents the second annual HeART & Soul, an evening of healing and mental wellness. Explore the powerful effects of art on our mind, body and soul. HeART & Soul aims to promote art therapy and showcase the transformative power of the arts to explore personal issues of mental health and wellness. This family-friendly event offers 5 therapeutic workshops, including Sound Healing with ALEXANDRIA, Paint Therapy with Cat Chhina, Laughter Yoga with Salimah of YogaVision, mental health film screening with Natalie Delay from Art with Impact, and Mimicking Movements with Jazzmine Raine. We will close the evening with musical performances from Chris Larocca (@sxtpofficial) and ALEXANDRIA (@theonlyalexandria).